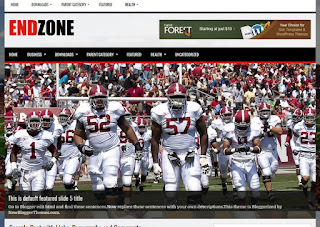 EndZone Blogger Template is an very simple yet elegant professional blogspot theme, which offers fresh looking design for your blog. Loaded with latest useful widgets and user friendly features, it helps you to create everything in one click out of nothing. 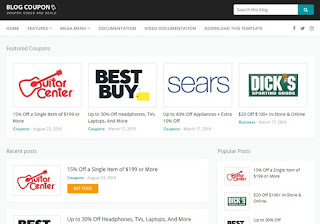 Built with latest blogspot codes, it can be used to create numerous blogs. 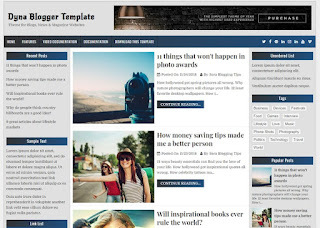 Stella Clean Blogger Template is an latest and clean modern fast and seo friendly easy to use Blogspot Template. 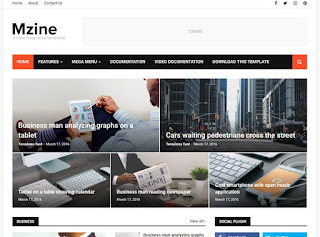 Packed with latest style 3.0 code and everything you need to set up a beautiful blog & modern photo gallery, its modern minimalistic design, and strongly targeting on typography, ease of use and minimalist in design philosophy. It’s suitable for a fashion magazine, tech news, traveling writers, food stylists and so on. 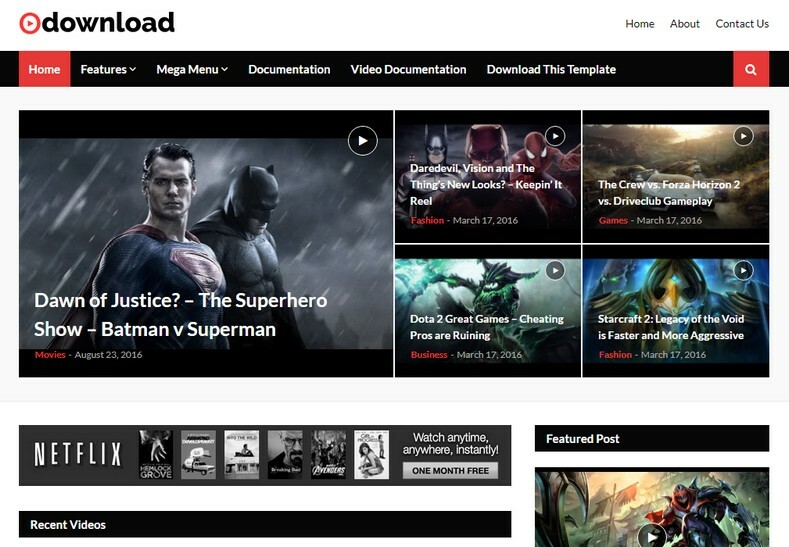 Video Download Blogger Template is one of the best creative latest Blogger video blogspot theme which is very suitable for all types of videos, filmmakers, vloggers, Youtubers, streamers, gamers, movies, magazines, video blog (vlog) websites. Whether you want to build a new personal blog including website or a video showcase for your company, Video Blogger Template will be a best choice. MZine Blogger Template is a most advanced and latest theme with highly optimized blog magazine theme to create and publish news blogs. Loaded with rightly coded premium feature and neat and clean professional design, this is one of the best amazingly designed of its kind template. It is Based on blogger latest 3.0 generation framework and equipped with newest commenting system. Blog Coupon Blogger Template is the only one of the best till date blogger theme available on the internet, which is truly made only for coupon blogs or related website, it has some unique and amazing features that makes it 100% perfect for any type of coupons, deals and discount related blogs, Publish your deal website, discount and coupon directly into homepage without any issues and hassle. 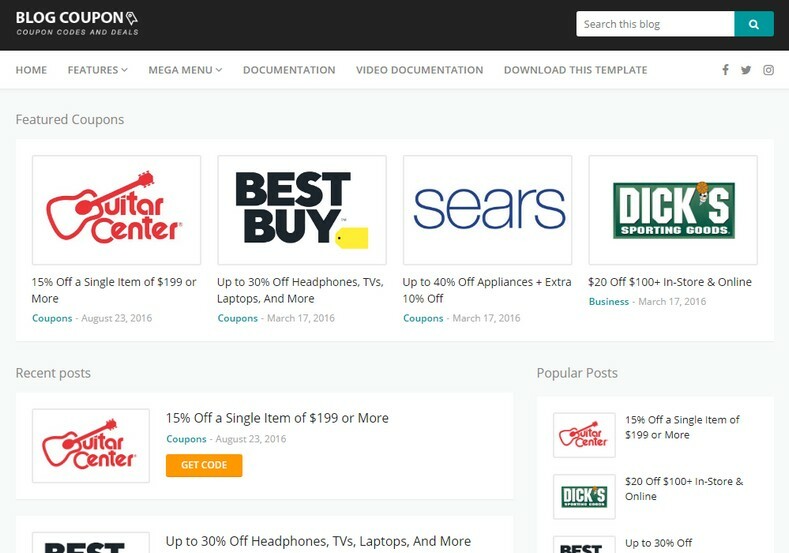 Blog Coupon is 100% equipped with various types of latest widgets which will help you to publish your blog more professionally. 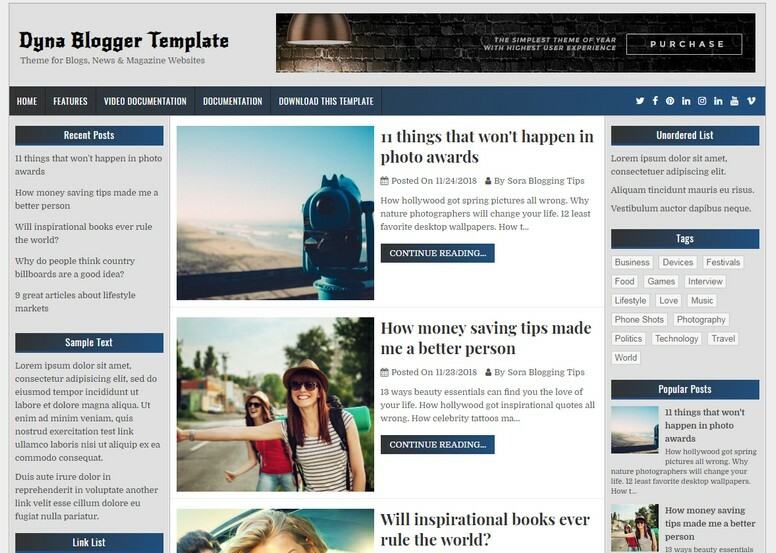 Dyna Blogger Template is a very simple, basic and classic looking free blogging blogspot template. It is an one of the best amazingly designed with 3 column blogger theme and 4 column footer, that gives you an best opportunity to create a online blog with extra space for ads, widgets and content. Having an extra space gives you extra benefits along with many new and latest premium features. 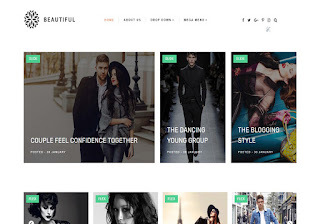 Beautiful Blogger Template is a elegant premium Fashion theme, Lifestyle and Personal Blog blogspot template, coded to your needs and to the expectations of your clients. This theme is perfect for many various possibilities which will help you easily create a beautiful, stunning and unique website. 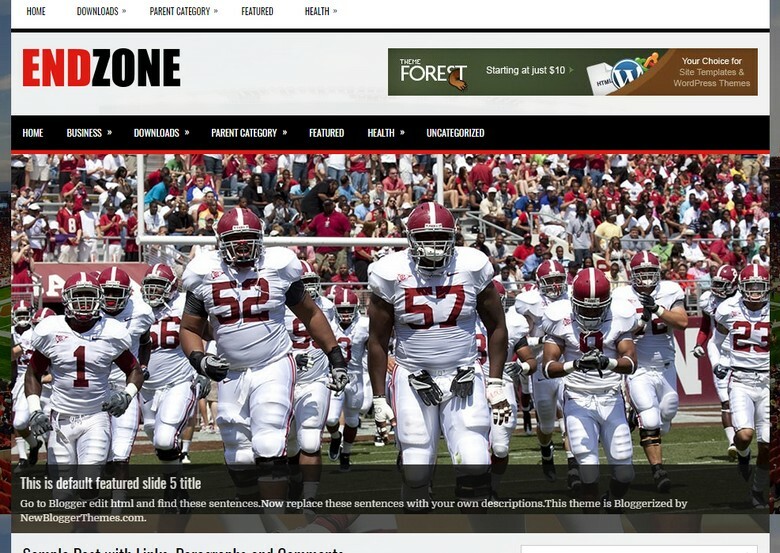 The theme looks great on tablets and mobile devices due to its responsive design and retina graphics. 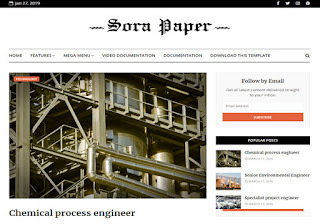 Sora Paper Blogger Template is one of its best and unique kind of responsive newspaper publishing blogger theme that looks professional and feels simple and classy theme. Made with with 100% perfection, it is perfect option to create a newspaper site to publish news on any topic.